International mediators have urged the presidents of Armenia and Azerbaijan, Serzh Sargsyan and Ilham Aliyev, to meet again through their agency to discuss ways of de-escalating the situation in the Nagorno Karabakh conflict zone. In a statement issued from Vienna, Austria, on Thursday, the co-chairs of the OSCE Minsk Group, Ambassadors Igor Popov of the Russian Federation, James Warlick of the United States, and Pierre Andrieu of France, reiterated their full commitment to mediating a lasting settlement to the protracted conflict. “In light of the recent violence and the urgency of reducing tensions along the Line of Contact, we believe the time has come for the Presidents of Armenia and Azerbaijan to meet. 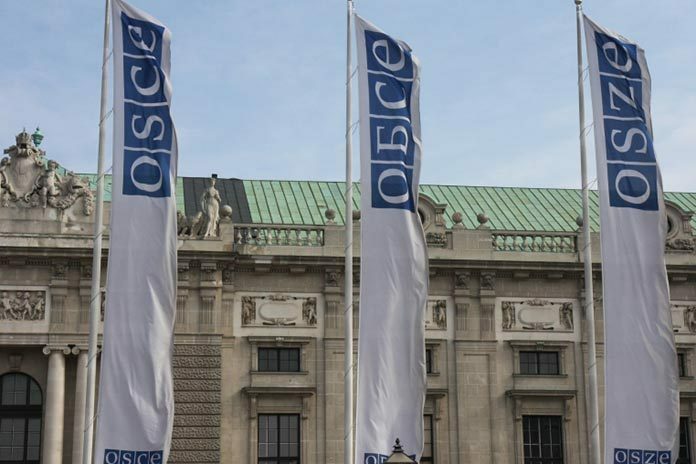 The OSCE Minsk Group co-chairs stressed that “there can be no success in negotiations if violence continues, and there can be no peace without a negotiation process.” “We reiterate that there is no military solution to the conflict,” they said, as quoted by the OSCE official website. In early April, Armenians and Azerbaijanis saw the worst outburst of violence in Karabakh since a shaky cease-fire was reached in 1994. Scores of soldiers were killed on both sides and many more were wounded in intense fighting along the heavily militarized line of contact. Despite the cessation of large-scale hostilities agreed upon by the sides on April 5, loss of life continued in sporadic fighting in the conflict zone. The leaders of Armenia and Azerbaijan last met in December. The meeting held with the OSCE Minsk Group’s mediation did not result in a breakthrough in the negotiations, nor did it bring any essential tranquility to Karabakh.